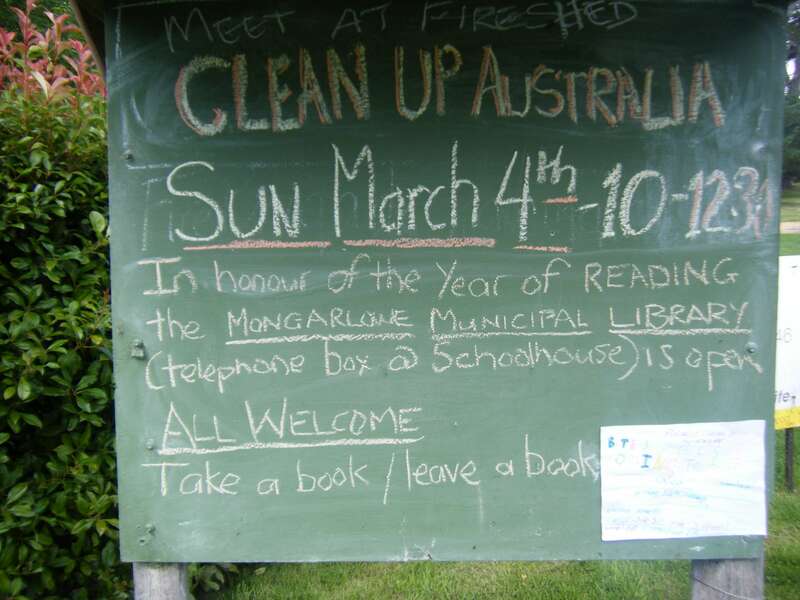 I am fortunate to live in the village of Mongarlowe in New South Wales. There is a notice board at the entrance to Clyde Street in the village that shares news of events. Last week the board was alerting everyone to Clean Up Australia Day on 4 March. To my great delight there was an addition to the notice board this weekend. 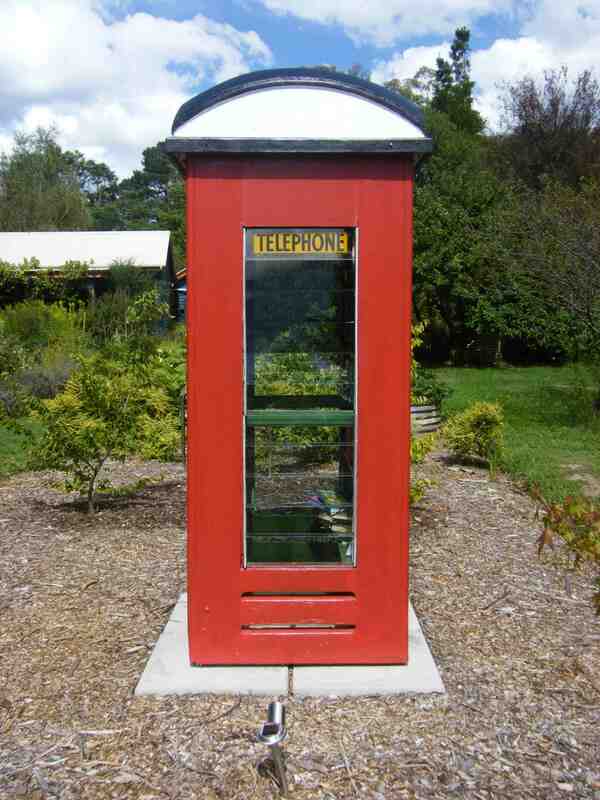 I love the idea that the Year of Reading has come to Mongarlowe and that it is housed in a Tardis-like location. 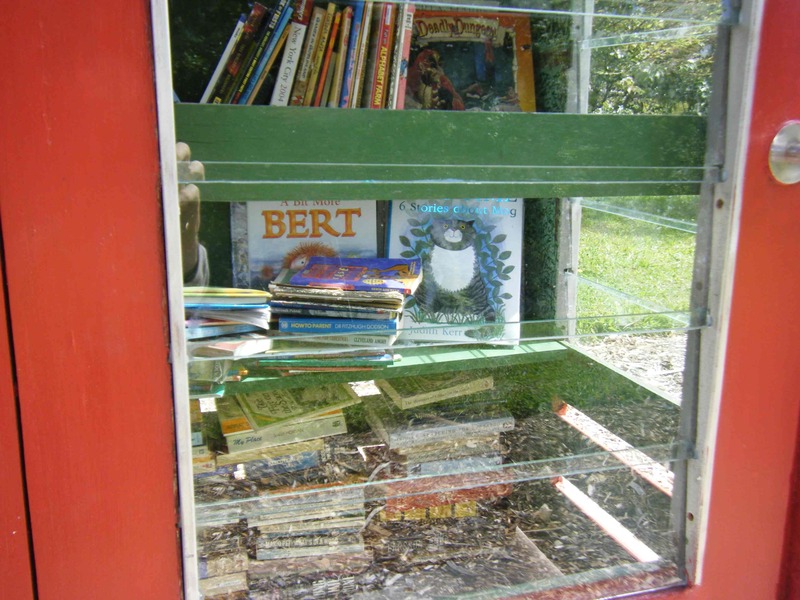 The Year of Reading 2012 “is about children learning to read and keen readers finding new sources of inspiration. It’s about supporting reading initiatives while respecting the oral tradition of storytelling. It’s about helping people discover and rediscover the magic of books. And most of all, it’s about Australians becoming a nation of readers”. 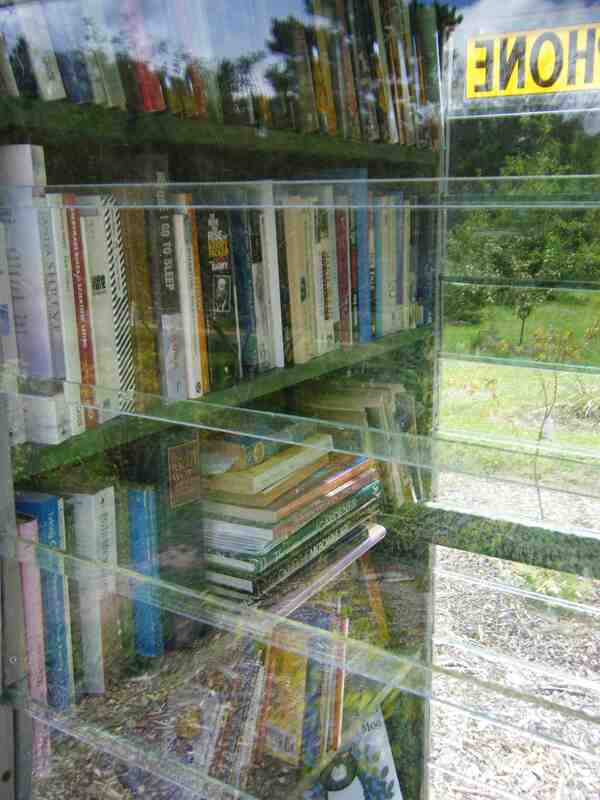 I think a telephone kiosk library in rural Australia is a great place to look for the magic of books. Wonderfully, all the books are at readers’ heights. For more information about the National Reading Year have a look at the wiki developed to support the Year. That’s a pretty cool idea! Thanks for sharing. Thank you for finding the post, Darlena. I think it is a wonderful way to celebrate the Year of Reading.